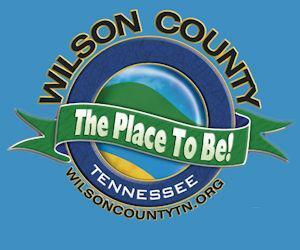 Wilson County was created October 26, 1799, by an act of the Third General Assembly of the State of Tennessee. This act, entitled "An Act Reducing the Limits of Sumner County and Creating Two New Counties" established that the new counties be called Smith and Wilson. It is generally agreed by historical critics that Wilson County was named in honor of David Wilson who served with distinction in the Revolutionary War, was a member of the Territorial Assembly and Speaker of the House of Representatives in 1794. The City of Lebanon, named for the biblical land of cedars, was laid out as a town in 1802 and chartered as a body politic in 1819. Lebanon is the county's largest city and serves as the county seat. Two other incorporated areas--Watertown and Mt. Juliet--are located in Wilson County. Watertown was so named in 1845 after Wilson L. Waters. The town was incorporated in 1905. Mt. Juliet was settled in 1835 and named in honor of "Aunt Julie" ....... (see added comments ) . It has the distinction of being the only town in the world to bear the name of Mt. Juliet. The town was incorporated in 1973. The City of Lebanon, named for the biblical land of cedars, was surrounded by beautiful green cedar trees perfuming the air with their clean, fresh aroma. Today the reforestation work of the Federal Government has provided the 10,000 acre Cedars of Lebanon State Park, the largest forest of virgin red cedar in the United States. Lebanon traces its founding to 1802, its official birthdate, but pioneers came to the area earlier. The chosen site was six miles north of the geographical center of the county, six miles south of the Cumberland River and at the fork of two creeks. The county seat thus was accessible to all parts of the county for trading. Lebanon (see added comments ) soon found itself on a great overland stagecoach road, linking Nashville and the East. Over the road rode President Andrew Jackson to the White House, Sam Houston, who practiced law in Lebanon and other notable personages of the day. This naming of Mt. Juliet is legendary only. Researchers point out that Julia was not living in the community when it was formed. Another legend persists that the town was named after the Mint Julep, which was allegedly served at nearby Eagle Tavern. However, serious researchers and historians contend that the roots of the naming go back to Ireland where a similarly named place is located. The choice of location near water has, in the last decade, been a source of woe. The Lebanon square has been flooded twice, due to today's penchant to cover all bare ground with either concrete or asphalt. At least one creek runs underneath the asphalted county square. Mt. Juliet was also on or near the stagecoach road, which was the original Nashville to Lebanon route. This road today is called the Old Lebanon Dirt Road.